Maadter Aahka, the title of an exhibit at the UrbanGlass Agnes Varis Art Center Gallery in Brooklyn from Aug. 9 to Sept. 29, sounded rich and exotic. But it is more Scandinavian than you may know, as it is the name of the Sámi goddess that brings life. 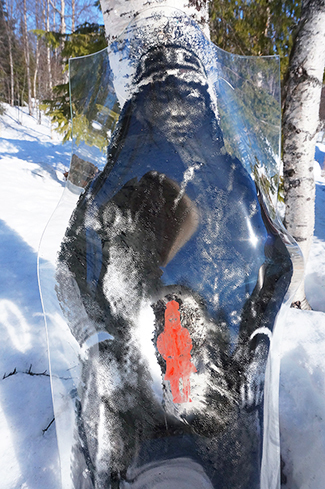 I was excited to see how this fascinating culture would be rendered by Sámi artist Tomas Colbengtson. 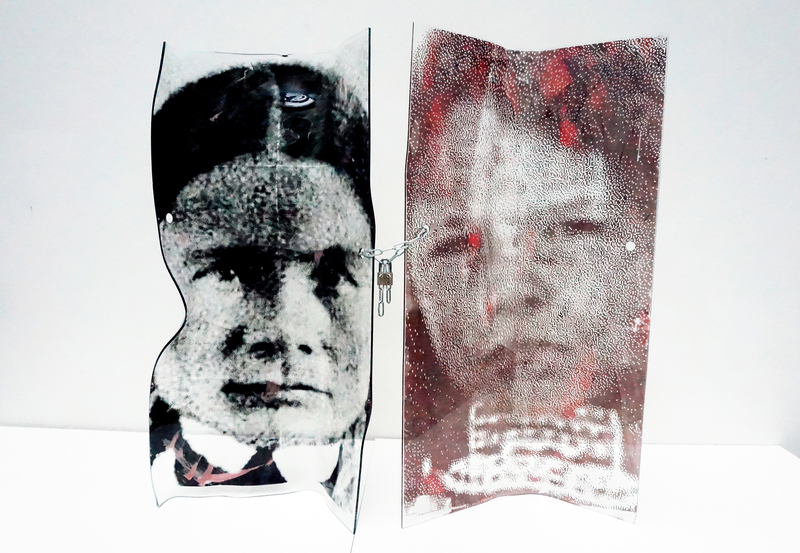 He had two large pieces on view, both presenting historic photographic images of Sámi people fused onto glass. The first piece, titled Maadter Aahka, is glass with screen-printed enamel. The young female face staring at you is at a vulnerable but fearless age. She confronts the viewer with an intense, direct gaze—a Sámi Mona Lisa—adorned in traditional beads.